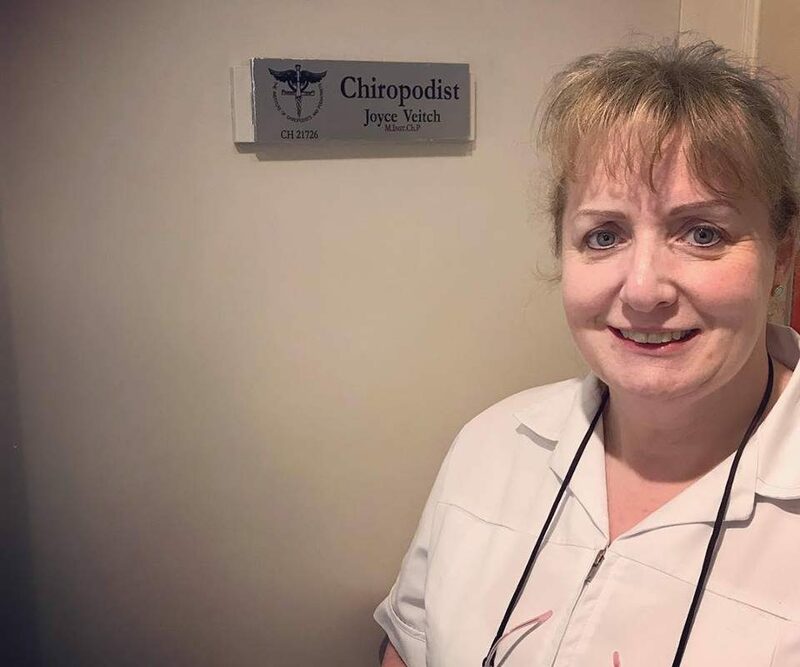 We are excited to introduce the lovely Joyce Veitch Chiropodist, who now works within the practice. Joyce qualified from the institute of Chiropody and Podiatry in 2002. Joyce’s work includes nail trimming, corns and callus, ingrown toe nails, thickened toenails and fingernails, and diabetic foot care.